They tell me my dad was always smiling. That he was a great athlete. That he was a little stubborn. That he was kind. I ask about him often. I ask my mom. I ask his friends. I ask anyone who knew him, because I barely did. My dad died from Hodgkin lymphoma a week before my sixth birthday. 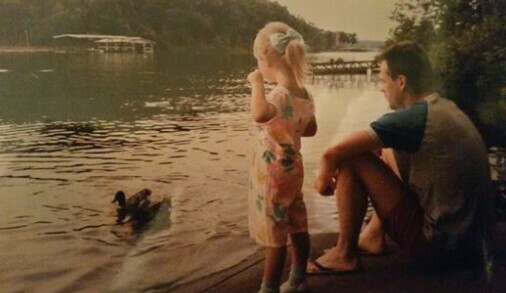 There are so many things about not having my dad in my life that are hard, but for me, the most difficult part is not having him here to make new memories and experience life with me. My memories of my dad are few. I remember his dark, thick hair before he got sick. I remember how strong he seemed to me as he let me help in our backyard garden. I remember him taking me to ballet, even though he probably would have rather been at a ball game. And when I sat in the outfield and made daisy chains during my first T-ball game, I remember he wasn’t disappointed. He smiled. I also remember when he got sick and his hair eventually disappeared. I remember when I no longer saw him in the garden — only a hospital bed. And when I saw him, I didn’t recognize him anymore. I remember how skinny my dad became, and his oxygen tank, and standing in the doorway as he was wheeled out on a stretcher and placed in an ambulance because he was struggling to breathe. I remember the black mark on his neck from his radiation treatments. My dad didn’t care if people stared at it, which they did. He never covered up that black mark. With his death, cancer robbed us of many potential memories. My dad never got to see me graduate or walk me down the aisle. He wasn’t able to teach me to drive or hold his granddaughters. Cancer stole those moments from us, and for a long time, I was angry. It was easy for me to turn to anger each time he was not around when something new and exciting happened in my life. I was angry at cancer. I was angry at God. I was angry that my dad died. I was angry that I only had five years’ worth of pictures and videos to last me a lifetime. 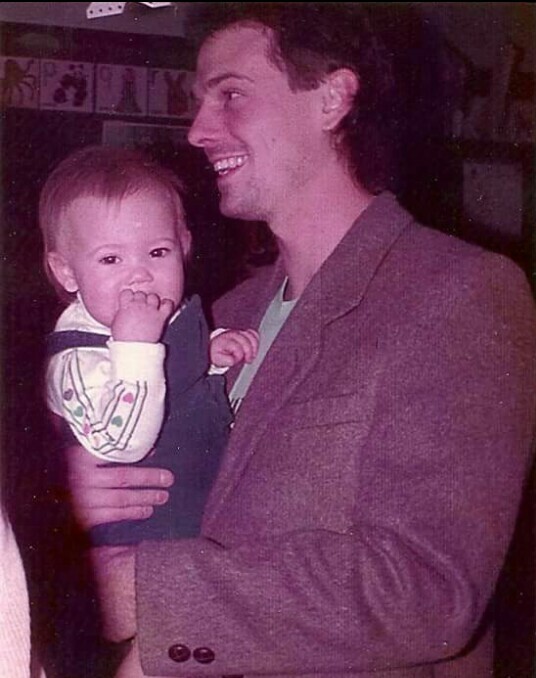 And then, the other day, I stumbled across a picture of a much younger me in ice skates, and I was reminded of my dad’s forever presence in my life. I recalled that moment — going ice skating for the first time. My dad could not be there because he was sick, and my mom — trying to soften the blow — promised me he could see me from his hospital room window. She pointed the hospital out to me in the distance. I didn’t believe her, but I wanted her words to be true. I waved towards the hospital as I tried to make my way around the ice rink, hoping maybe he really could see me. My ankles felt weak and my legs were wobbly. I held tight to the rail with my right hand — a hand that, had he been there, he would have been holding. But he wasn’t. I imagined my dad by the hospital window waving back at me as I slowly circled the rink, a big smile spread across his face. Although he couldn’t be at the ice rink physically, because of my mom’s words, I was able to bring him with me in mind and spirit. Not much has really changed since that day at the ice rink. Even though my dad isn’t physically present, he is always with me. As I accomplish new things, as my daughters grow, as I skate through life, I know he is watching me from his window — smiling and waving back. And that is something cancer can never take from me.